Python Imaging Library | Inventing Situations. Aerial raspberry pi installation. 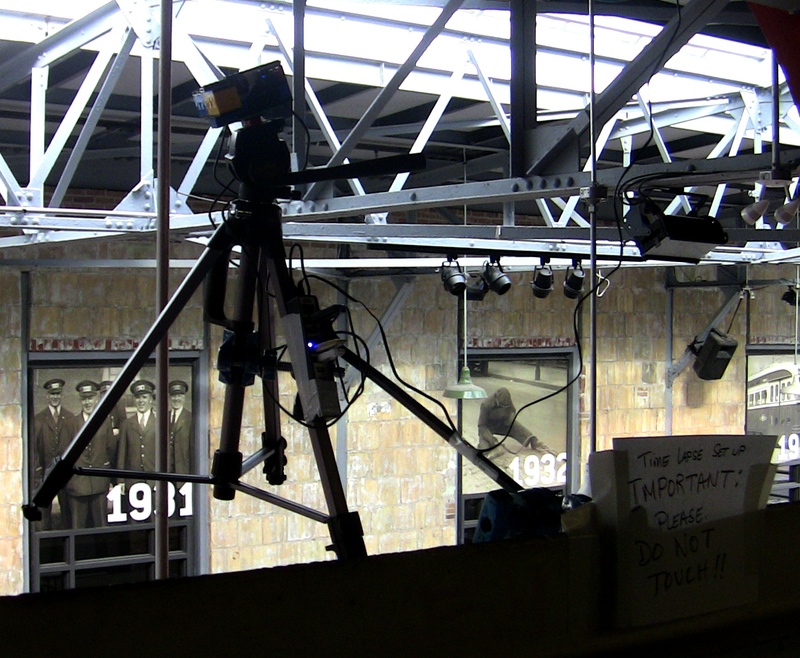 The boxy-head is the pi(s), attached to a tripod held up by a jib arm. A ten-port powered usb hub is duct taped to the tripod, providing lots of data storage and internet to the Pi’s. Almost immediately after my first foray with the Raspberry Pi timelapse I was contacted by Cookie Roscoe, who coordinates a weekly farmer’s market for The Stop. The Stop is a community food center here in Toronto, providing lots of programming and emergency food access for lower-income people. My partner, Elizabeth, worked with them for about three years, so I was super happy to try doing a time-lapse of their market. Here’s the results! Lots of technical stuff about what went into the video after the break!